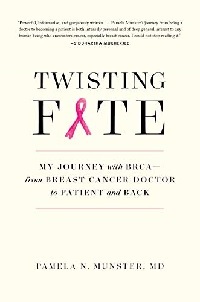 Intending to share the hope and incredible advances in research with the broader community, Dr. Pamela Munster describes her journey of developing the disease in which she is an expert in her new book, Twisting Fate. As a carrier of one of the most feared cancer mutations, she provides a glimpse into the medical and emotional turmoil of breast and other cancers related to the BRCA mutation. She takes the reader through the different stages of cancer, bringing to life the voices of patients, family members and friends living with this disease. With a unique view through both a professional and personal lens, she shows that knowing about a genetic mutation can change the lives of the entire family and spare future generations. More about Dr. Munster below. 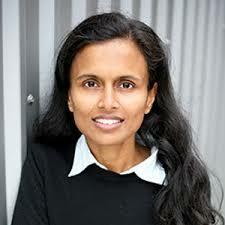 Please join Dr. Munster and Devi Ramanan in this fireside chat/discussion about Dr. Munster's inspiring book. 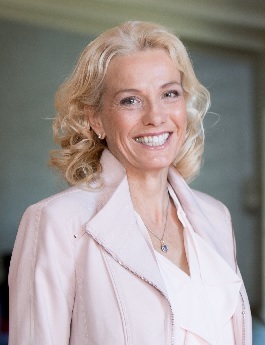 Dr. Munster is Professor in Residence at the University of California, San Francisco, where she is also the Director of Early Phase Clinical Trials Program at the Helen Diller Family Comprehensive Cancer Center and Program Leader of Experimental Therapeutics. Dr. Munster is Co-Director of the Center for BRCA Research, a BRCA-focused clinical and research program at the Helen Diller Family Comprehensive Cancer Center at UCSF. Dr. Munster is the principle investigator of a research lab focused on developing novel targeted therapy for the treatment of treatment-resistant cancer and their integration into current treatment strategies. The lab involves basic research studies on epigenetic modification of DNA repair and therapy resistance. Her laboratory is involved in several projects testing HDAC inhibitors reverse hormone therapy resistance in breast cancer and to re-engage the immune defense. Over the recent years, her team has been developing new devices to selectively deliver anticancer agents to those at risk for cancer with the goal to prevent cancers in high-risk individuals. She is the lead investigators on several clinical trials involving early drug development for cancer, serves on NIH/NCI study sections and leads international cancer awareness campaigns on breast cancer and cervical cancer. Dr. Munster has published in numerous scientific journals and has given lectures on early drug development, breast cancer, clinical trials, and translational research and is a strong advocate for patients with cancer germline mutations.